No matter how many times I say it, whether aloud or inside of my head, it never really settles or makes any sense. I know this is a blog about old house living, but bear with me. I’ll get there. I won’t get into our story much, because I’d be typing for days, but I will tell you that it is something that changes you in a way I think nothing else, good or bad, really could. Imagine a time something awful happened in your life, the saddest you’ve ever been, the heaviness in your heart that sat there for a while. Eventually, though you are changed, things get somewhat better, there is a healing in your heart, to some extent. Now imagine that the heaviness stays, a kind of numbness that can’t be described. You learn to mask it, to put on a brave face, despite it, but always it remains. The one person you love more than anything has to struggle every day to make sense of the world around him and make a path for himself somehow. Some days aren’t so bad. Some days the heaviness is unbearable and impossible to mask. Lately, the latter kind of days have been much more frequent for us than the former. When I write or speak about my sweet William, it is always mostly positive. Despite the heaviness, there is still much light. He has taught me love, the REAL kind. He shows me every day what strength and courage are. He is my hero. He is my salvation. He has forced me to find the strength within myself that I never knew was there. He makes me a better person. Most importantly, I think, he has taught me gratitude. Because of him, I take no blessing for granted and I am able to see each day for what it really is–a beautiful, wonderful gift. He has taught me that sometimes tough times make for a happier life, because once we have conquered one obstacle, the next one doesn’t seem so impossible, and then the next and the next. He has taught me about grace and he has taught me to ask questions and to keep trying and that it is okay to cry. All of those lessons I am thankful for, but I have also learned, rather recently, that I don’t always have to be brave or pretend to be Little Miss Sunshine. These hard, heavy days we’ve struggled through lately make me feel more like Little Miss Defeated and Little Miss Storm Cloud. 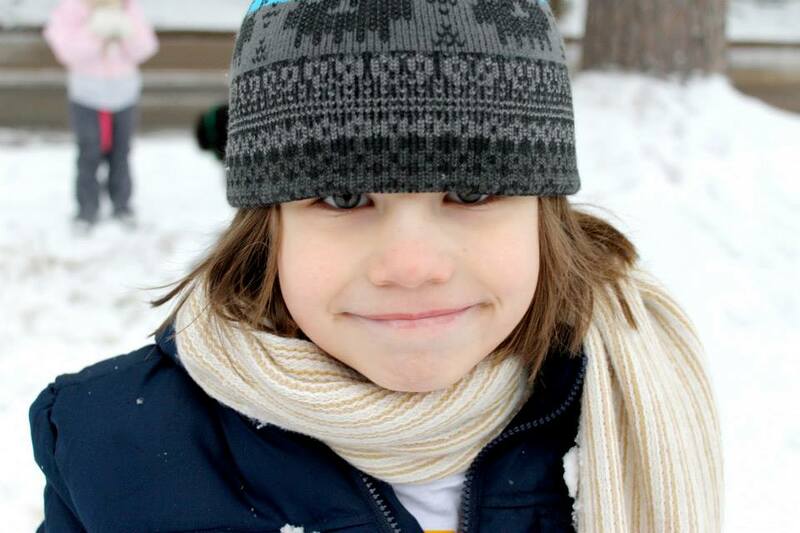 I know “this, too, shall pass,” but still I cry for a season, watching my love struggle to make sense of a new school routine and a newfound emotion–anger. I used to pray for him to feel emotions. Now that he does, they seem to be caricatured, overdone, unbearable at times. I know it will take time for him to sort through it all, to put the pieces together in his brilliant mind and eventually make sense of it all. And then, perhaps, a season of peace. However short-lived, peace is always so very wonderful, despite the impending, inevitable next storm I know is to follow. I understand his anger. I am angry, too. It is not easy to live this way. It is a struggle to go out and be around people. I know better than to shelter him too much. I understand the necessity of his being in normal social situations. However, I have never really felt comfortable in public with him, even when autism is not evident whatsoever. I simply want to keep him away from any possible confusion or frustration or judgment. And that is the most important reason why our home, where we prefer to spend our time, must be a haven. There is nothing particularly bright in our home, nothing that would stimulate him too much. Every chair and couch is cushy and cozy, perfect for the hours he some times sits, playing his games or reading about his latest obsession. The furniture is all positioned in a way that he can walk from one piece to the next with ease. Yes, I said walk. This calms him, for whatever reason. So I allow it. Not any where else. Just here. This is Will’s room. The ship paintings above his iron bed (a steal at thirty dollars from a local flea market, only needed a quick coat of grey paint) are found pieces that took me three years to put together. They remind me of a puzzle, much like my William’s mind. They don’t fit together perfectly and they took a while to come by, but they still make sense to me. This is how I imagine he must see our world. They also remind me of the ships in Peter Pan, one of his favorite films. He often asks me to please find a way for us to go to Neverland. I figure our home is the closest he will ever get to that. That’s not something I take lightly. Neverland is an old house, I’m certain. They share the same charm and wonder. See how nice and neat every thing is? That’s not staging. That’s just how it stays. Will has never played the way most children do. He simply has an obsession (never messy) and devotes all of his time to that. For a few years, he could sleep alone in his bed at night, but not these days. That’s why his bed stays made. He says sleeping alone gives him nightmares, and since reality is often a nightmare for him, I allow him to sleep with his sister or on a sleeping bag next to my bed, or even IN my bed from time to time. Sometimes when I pass by his room, it makes me sad. 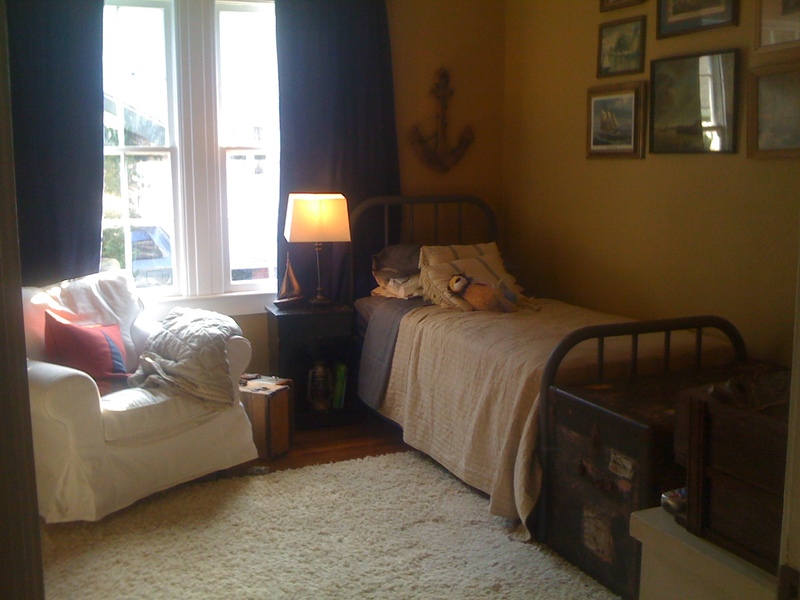 I think of his sister’s room, with stuff everywhere, full of life and personality and childhood normalcy. I imagine what his room would be like if he were not autistic. I imagine him getting home from school and sitting on the bed and maintaining a normal conversation with me about his day and maybe even soccer or karate and homework and having to fuss at him for leaving his things on his floor. I wonder if he will live in this room forever, if he will ever be able to leave this haven. I don’t know that I like either of the answers to that question. In the meantime, I work to keep our home neutral and comfortable and safe for him. The claw foot tub gives him a spot to hide away when his sister is annoying him and the floors creaking beneath his feet let me know he is coming in my direction, making me smile, anticipating the hug I know comes with almost every encounter. I apologize for rambling. I hate to ramble when I write. With these things, however, there is no way to really organize my thoughts or emotions, no way to make sense of any of it. My home is my therapy and writing is my therapy and this has, really, been a combination of those two, as I struggle through one of the toughest times autism has ever offered us. Sometimes I need to type out the words WE WILL GET THROUGH THIS before I can believe them. See the shine in his eyes? It’s not always there. But, my God, when it is, it makes all the heaviness completely worth it. It makes me feel a much stronger and important emotion, the one that gets me through: HOPE. I never knew that is why so much of your house is neutral looking colors; just thought it was your taste. I am so sorry that this is a period of struggle for you and Will and hope that it will morph into a better phase soon. Sending love always, not just to you but for both the children too. I always love being with them. You are an inspiration to many. I know that is not your intent however; the true intent is to give your family the unimaginable amount of love in your heart and the desire to keep him safe and secure. Hang in there! Everything will be fine! I am you 20 years later. My son with autism is still living at home, finishing the last course for his Associate’s degree and working part time. With the help of a life coach, he has a personal plan that includes moving into his own apartment early next year. It will be a struggle! But, I know we all can handle it because we have handled everything else! Continue using your creativity to help him and also to help yourself!